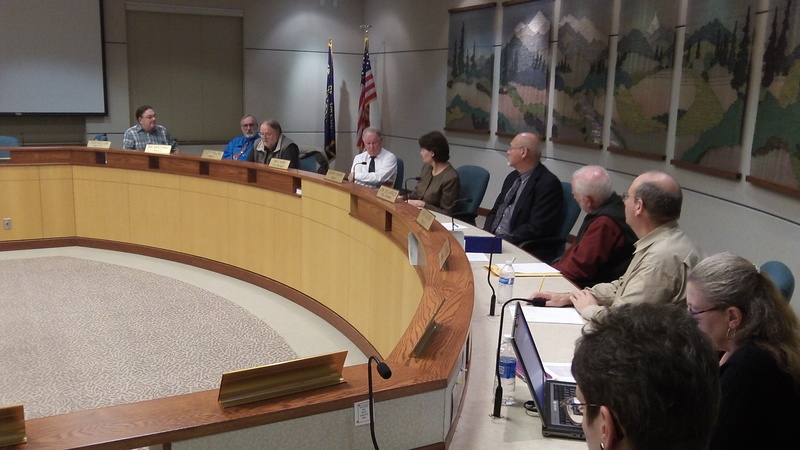 The city council in session: Would they want to prohibit medical marijuana? It sounds as though the city of Albany wants to outlaw not just dispensaries when they become legal next spring but medical marijuana itself. At the behest of four members of the city council, the planning commission on Jan. 27 will consider an amendment to the Albany Development Code, the city’s land use law. The language is intended to prohibit the opening of any medical marijuana dispensary, which is what the council majority apparently wants even though the legislature has authorized such businesses under very restrictive conditions. But the wording also appears to ban the mere possession — and thus the use — of medical marijuana at home by anybody living anywhere in Albany. Marijuana, after all, medical or otherwise, remains unlawful under federal law. Why should we respect ANY city ordinance if the “City” refuses to respect STATE LAW? We may not agree with certain laws, but that doesn’t mean we get to pick & choose the ones that apply to us. Exactly what “STATE LAW” is the “City” refusing to respect? ?